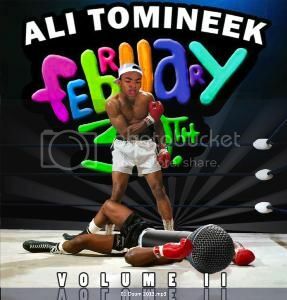 Back by popular demand is 16-year-old Rapper, Ali Tomineek! From his new album to his humanitarian efforts, we've got the Exclusive! We recently had the chance to chat with 16-year-old Rap sensation, Ali Tomineek! You may have caught our Article on Ali after the release of his first mixtape "February 30th." 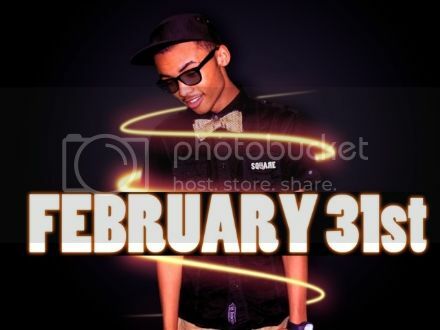 Now, we're back with the Exclusive as Ali prepares for the release of his new album entitled, "February 31st!" Ali! It's so good to have you! As you know, I'm a very big fan of yours, so I have a lot of questions for you. For starters, tell us about how you got involved in the rap game. I remember when I was 8-years-old I would rap with my older brother and sister, just messing around. At age 13 I told my dad I wanted to be a rapper. I could see the disappointment in his eyes because he wanted me to become an engineer. But then he told me the story of Muhammad Ali and said, “make sure you are the greatest.” I spent the next two summers in my room creating music and making rap videos to post on YouTube. In a very short time with my unique rap style, and without profanity, I was able to become a YouTube sensation. With over 60,000 fans around the world I used my celebrity to raise money to buy clothes, pay rent and buy food for families around the holiday season. As Muhammad Ali used his boxing talent to draw attention to social issues in the 60’s and with Parkinson’s today, I’m currently using my poetic rapping talent to perform at each and every Boys and Girls Club throughout the Arizona valley's to send my anti-bullying message, “Bullying Stop It." My dad named me "Tomineek Ali" and as I got older I understood why. Now that I am 16, I am glad that I took the time to watch hours of videos on YouTube about Muhammad Ali. My dad always said, "If you give someone a good name they will live up to it.” Muhammad Ali has inspired me, not because of his wonderful talents that could not be matched in the ring, but because of his dedication and passion for human beings all over the world. Wow, I didn't expect that! That's an awesome answer! You mentioned that with your personal style of rapping you don't use profanity. There are very few artists out there who don't curse in their music, but we all know that profanity has become a major part of the rap game. Did you make a conscious decision not to curse? I don’t think it is a conscious decision to be yourself. I enjoy a variety of styles in Hip Hop, from gangsta, country to old school. I just hope I’m lucky enough to have my music become as popular as mainstream. Cool, I believe your music will be as popular as the mainstream artists very soon. As I said, I'm a big fan of yours and I noticed that you've done a few songs with your brother. What is it like working with him and having that family support? It was weird because the first song we ever recorded together I was nervous and sweating, lol, but once I found my comfort level everything went smooth. My brother Shaun and I have a lot of new music coming that I think people are really going to like. As far as the rest of my family goes, everyone is very supportive. Its almost like I have my own team of label heads. LOL! That's cool. You should always follow your dreams no matter what, but it's nice to have a solid support system backing you up. So, can you tell us a little bit about your writing process? Do you have a method? It really depends on my mood and how I am feeling at the moment. Im always looking to expand my vocabulary so I read the dictionary and pick a word I don’t know, learn the meaning, and use it in a song. I have to admit, when watching your videos I always wonder how you come up with your wordplay, lol. That's a very creative method and obviously an effective one. I see that you have your own style when you rap, but who are some of your musical influences? Nothing is new on the wheel and there is a lot great music in the world. I draw my inspiration from within, but I like Pharrell Definitely, Odd Future, Mayer Hawthorn, Sufjan Stevens, Mac Miller, and Childish Gambino. It's cool that you can draw inspiration from other artists and still keep your own style. A lot of people have a hard time with that. Now, I know you can't speak on it too much, but can you tell us a little about what we can expect from your upcoming album "February 31st?" When is it set to release? Well without giving too much away, the album is on track to be released in September. You can Pre-order the album if you go to kickstarter.com/AliTomineek, before June 15, 2013. Everything is being produced by me. There will be a lot of fun songs, and a lot of story telling as well. I want my fans to get a glimpse at the world through my eyes with this album. I’m very excited about it! I for one, am excited! I can't wait to pick up a copy! You seem like a very confident guy, do you ever have problems with haters or people leaving negative comments on your videos? How do you deal with things like that? I’m actually touring high schools and boys and girls clubs in my State promoting my anti-bullying message. So I welcome negative comments it is part of the path of success. I know everybody is not always going to have something positive to say, but it won’t stop me from reaching my goals nor will I EVER hurt myself over Haters’ comments. That's what I like to hear! And it's great that you're getting involved with the youth, we need more of that. So, what advice would you give to one of those kids if they wanted to pursue music, or any other craft that they're passionate about? Make sure you’re happy with whatever it is that you choose. If it begins to feel like work and not fun, its probably not the right path. Also, strive to be the best at what you do. Never stop practicing your craft. Another great answer! What plans do you have for the future? Will you always rap, or would you like to branch out to other aspects of the music industry? I would actually like to branch out into acting. One of the best examples I can give is Will Smith. He was once called corny, but now he demands $25 million a movie and if that’s considered corny, sign me up! Haha. Sign me up too! There's nothing corny about pulling $25 million per movie, lol. It's been great talking to you Ali, I just have one more question for your. What has been your biggest moment thus far? I would say hitting close to 10 million total upload views on Youtube is a pretty big moment for me. But everyday I wake up and I am able to do what I love without boundaries is truly my biggest accomplishment. Thank you so much for speaking with me Ali and you're welcome here anytime! I believe we're gonna see great things from you in the near future! Check out the videos below and remember to pick up a copy of "February 31st" when it drops! Click here to subscribe to Ali's Youtube channel! And be sure to connect with him on all of his social networks! All of the links are below! Click here to check out our first write-up on Ali Tomineek!